2016 Motorino XPs. Picture credits - Motorino. Submit more pictures. Light, compact, and agile, the XPs is ideal for downtown commuting where road and parking space is tight. It�s also perfect for smaller riders. But despite its size, the XPs can still accommodate two people up to a maximum payload weight of 135kg (300lbs) while the heavy-duty, rigid frame assures a smooth, stable ride. 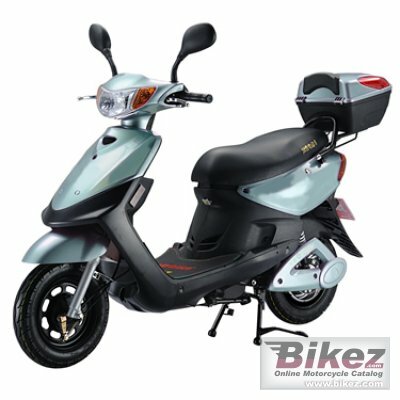 Frame type: Motorcycle-grade high-tensile steel frame. Instruments: Digital Speedometer/Odometer, Volt Gauge, Turn Signal/High Beam Indicators. Ask questions Join the 16 Motorino XPs discussion group or the general Motorino discussion group. Bikez has reestablished Bikez.info motorcycle web shop overview. Here we present the major online shopping possibilities for motorcycle parts, gear and accessories. This includes customizing and insurance. Search and compare products and prices. Try our 2016 Motorino XPs discussion forum if you have questions or comments. Information about any technical issue is always welcome.